When PKI 9045 is launched into the water the hose cells are automatically filled with air within only 60 seconds. 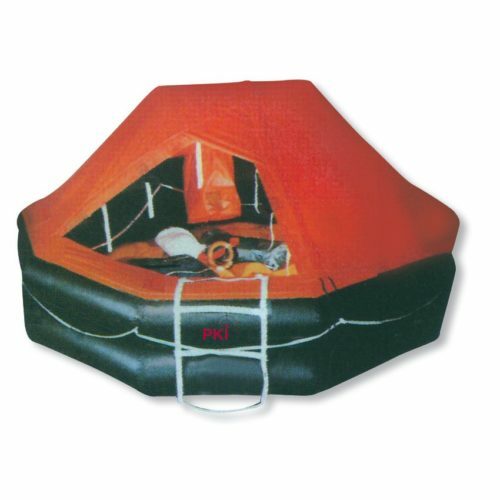 Once inflated, the life raft can accommodate up to 10 people. Life jackets, distress signs, first aid kits, food – all these things are stored inside the life raft. The upper tent can be closed and is waterproof, so that no water can come inside. This life raft is the perfect equipment to save lifes!